It is the best choice of asphalt manufacturers, highway and bridge construction companies, college and universities, and research and development departments. It is suitable to determine the softening point of asphalt, tar, liquid asphalt and other types of asphalt. 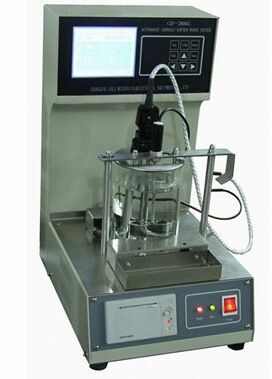 It can make test for two samples at the same time and determine softening point of samples automatically. So it is an intelligent instrument for measuring softening point of asphalt sample.